Futuristic art deco design for your home! 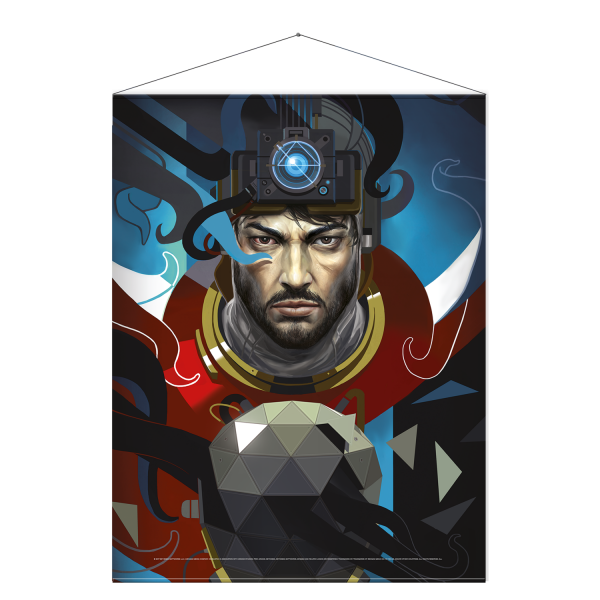 The 77 x 100cm Wallscroll shows Morgan Yu with the psychoscope and his helmet, embraced by typhon tentacles. Wallscrolls are the better posters: Elaborately printed polyester canvas between two aluminum rods ensures long-lasting joy without the risk of wrinkles or creases. Manufactured by Gaya Entertainment.